Camille and the Bears of Beisa—Drafnel is a sci-fi/fantasy/thriller tale that has been compared to Frank Herbert’s masterpiece, Dune in its sweeping worldbuilding. In addition, it has several urban settings, a matriarchal society, and a female protagonist of African descent. Cover art for Camille and the Bears of Beisa–Drafnel. Sliding seamlessly between modern day Brooklyn, 20th century Jamaica, and the fictional world of Narvina, Drafnel chronicles Camille’s fight for knowledge and self-preservation. When those worlds clash, secrets unravel and hidden agendas are exposed. The food on display and the brilliant dyes of the hand-loomed textiles hanging at the market made me homesick. The marketplace crowded with vendors selling varied crafts and wares. The frenzied pitch of the hagglers echoed under the tin roofs. Voluptuous women wearing multi-colored wraps balanced huge straw baskets on cornbraided heads, while children darted through stalls with jaws stuffed of toffee candy or juggled melting snow cones with syrup-stained hands. Fruits ripening in the heat sweetened the layer of jerk pork and chicken charring over coals inside huge metal drums. At first Miss Mattie kept me close, but as the market became more crowded her clenched fingers slackened. I searched the aisles, worried about returning home empty-handed. Failing to find any spices, I started making my way back to Miss Mattie and then noticed a young woman with a basket tucked between her knees. Loose braids stuck out from under her head scarf. Kind hazel eyes invited me forward. Curious, I bent over to check out the samples. The woman pulled me closer and stuffed a piece of cloth into my waistband. Miss Mattie swooped in at my heels in a matter of seconds. She sniffed the air several times and shoved me away from the vendor’s stall. We left thirty minutes later, my impatience to unwrap the cloth’s contents shielded. Unpacking the supplies, I started dinner. Then, while the meal simmered, I sneaked to my room and pulled out the puffed packet. Wrapped inside were five cinnamon sticks. My smile must have been a mile wide. I decided to add them to my hideaway after Miss Mattie left for church that Sunday. As my guardian angel instructed, I wrapped a small piece under the ribbon tied around my braid. I noticed Miss Mattie’s immediate reaction. Her harsh tone gentled and she even allowed me to eat with her at the dining table. A welcomed change, my nerves were still on guard, unsure of how long Miss Mattie’s tolerance would last. Against my better judgment, I decided to ask about Caleb and Cassandra. Growling, Miss Mattie cocked her head and then swung around to face the door. Her eyes rolled back into their sockets. Her head snapped back as she sniffed the air. I warned you, Grandmother. Leave the table now! Miss Mattie’s neck protruded as her limbs extended. Fingers mutated into claws and hind legs ripped through her lower extremities. Wiry tufts of hair sprouted all over her body. Her face contorted and elongated as saliva slimed down enlarged jowls. My hand stifled the scream roaring through my head. Get up and walk away slowly. Do not turn your back on it. Now! Simone Salmon, a Jamaican born New Yorker, is the mother of two sons and a Jack Russell terrier. Simone is still working on her exit strategy from Corporate America, but in the meantime she writes novels, poetry and expands her multi-sensory perceptions. She is a spiritual truth seeker who appreciates psychic phenomena and timelessness. Music of all kinds, warm weather, lounging on the beach, and experiencing the unknown are just a few of her most favorite things. Learn more about Simone on Facebook, Twitter, her blog: Origisims, and her website. You can also find her on Goodreads, Pinterest, and her Amazon Author Page. In one of my recent forays onto Twitter, I came across the profile of one Auden Johnson. I stopped because I rarely come across black female dark fantasy writers–even fewer that write sword and sorcery–and I love to talk with other female writers of dark fiction to get a feel for their experiences writing in the genre. I’m also excited that she has a dark fiction world-building guide planned. So I reached out. I am a Dark Fantasy writer. I can’t help but be one and believe me, I’ve tried. It seems no matter how far you run, your passion always catches up with you. I didn’t make the choice to be a writer, the stories made it for me. Dark Fantasy allows me to combine my two great loves–horror and fantasy. Darkness and dark things have always fascinated me. I’ve tried to write light or “normal” stories but you can’t make the stories into something they don’t want to be. Subtle creepy is beautiful. Without meaning to, all my stories deal with darkness in some way. Words are an escape. They somehow lift the weight of the world off my shoulders. I talk about them as though they’re alive. Well, a writer’s job is to make words come alive for you. I’ve been writing for ages and I’m still surprised by the things my mind creates. My mind has always been this vast other world, bottomless, where nothing is impossible. I love it! Auden has published three short stories: No Vacancy, Clipped Wings, and Welcome to My World and three novellas: Visible Through Darkness, Shadows under the Light, and Devdan Manor. Her first two novels in The Merging Worlds series, The Sciell and Chains of the Sciell are now available. Her latest release is a dark fantasy/sword and sorcery novella titled, The Marked Hosts. She should’ve left the boy to die. Contessa Torain’s job was simple: Talk humans out of blowing up her homeworld, Devortus, because of a few rogue Brevia soul eaters. A moment of pure insanity leads her to save a child, Asamee Banks, and the brat follows her home. He smells like her kind, but different. His existence creates a mystery she must solve. The brat is an aggravation when all she wants is a quiet life. But more Brevia invade the human world, feeding off the residents. Contessa, and her team–along with the bratty Asamee–escape back to Devortus, but find it empty. The Sencil, dragon-like guardians of Devortus, are dying and they now care only about getting another body as host to survive. Contessa’s only goal is to find her family. But which one of her team is marked? If you’d like to pick up a copy of Auden’s latest release, The Marked Hosts, you can find it on Amazon here. Dark fantasy author Auden Johnson. Auden’s bio: Lover of dark worlds. Nerdy & proud. Anime fan. Nature photographer. Sometimes silly, everyday dreamer, forever lovely. Just trying to be me–writer to the core. Find out more about Auden on her blog, on Twitter, or on G+. The Misadventures of Bob the Zombie was that newness for me. While the series of novellas by Jaime Johnesee isn’t marketed as Young Adult, she crafts the character of Bob with plenty of innocence and wide-eyed discovery of the world around him, and I think this series would appeal to a young readership as Bob reacts in a way I associate with younger characters. Bob’s voice is almost light-hearted when her tells his tale of how he attained zombie status, and he doesn’t have the anger and angst you might be expecting in such a character. He also has charming qualities you might not normally see in a twenty-five year old ghoul: he embarrasses easily—especially when his body parts fall off—and he’s a staunch and loyal friend. Johnesee’s collection includes five separate stories: Bob the Zombie, Bob the Spy, Bob the Valentine, Bob the Hero, and Bob the Mentor. Bob’s adventures are fun and funny, with intermittent moments of sympathy and the occasional groan of “Are you kidding me?” tossed in. This series is not your typical mindless, human devouring zombie series. He wants to improve his community, keep his Mom happy, and just generally stay in one piece (which he does with the help of a stapler). I enjoy books where the hero has good intentions, is a tad awkward, but manages to get everything sorted out by the end. How can you not like a guy, er…zombie, like that? Jaime Johnesee, author of the Bob the Zombie novella series. Jaime Johnesee is a wife, mother, zoologist, and author, who spent nearly fourteen years as a zookeeper before a debilitating illness caused her to lose that dream. Being the stubborn sort, she decided to rise from the ashes and pursue her other dream of writing full time. She’s living proof that dreams do come true if you work hard and set your mind to it — So, don’t give up. One of her favorite things is receiving reader feedback. Hearing about what you liked and what you didn’t like helps her become a better author. Feel free to email her at JJ@JaimeJohnesee.com and find her on her website, Facebook, Twitter, Goodreads, and G+. 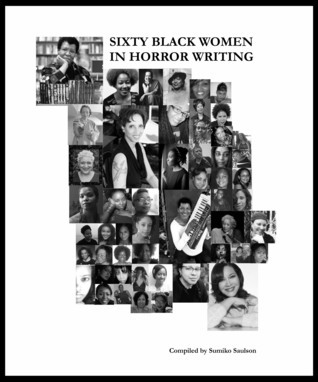 Check out Sumiko Saulson’s “60 Black Women in Horror Writing”. There’s great information on these authors and their work. (I’ve had so many people express surprise that we write horror.) There’s even a free short story or two! February is my favorite month to discover new authors. It is both Black History Month and Women In Horror Month (WiHM). Woohoo, double win! Sumiko Saulson’s unique compilation, 60 Black Women In Horror Writing is celebrates both holidays in grand style. Some of the women profiled in this book are literary geniuses you’ve read before (Octavia E. Butler, Zora Neale Hurston, and Toni Morrison) but Saulson also introduces us to talented women we’ve never never heard of, too. This book is comprised of interviews, essays, and short stories from the author, herself, and Crystal Connor and Eden Royce. 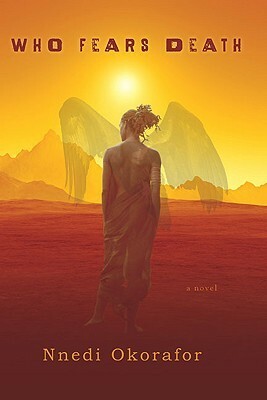 Of the short stories I liked Crystal Connor’s “Amber’s New Friend” the best. I’m a sucker for southern gothic ghost stories, however all of the stories presented are worth a read. I love a female villain. I don’t read about a lot of them, however. Maybe it’s the books I’m choosing but I don’t see it often enough in my opinion. And black female villains? So rare. During an online Twitter party a week ago, I read about how many readers would love to see a black female villain. Enter The New Mrs. Collins by Quanie Miller. It’s listed as paranormal on Amazon, but I’d venture to say this book steps its toes into the waters of horror. Just a bit. Enough to cause a few ripples. Deservedly so. The New Mrs. Collins is an unsettling book with a female villain whose origins are initially obscured. Adira doesn’t know what she is (and neither does the protagonist or the reader until much later.). I enjoy when an author is able to make a “What type of monster is this?” background work for a character. I also love to draw my own conclusions in a book, so I like that not everything about the villain is spelled out. Adira has a great deal of self-hatred, perhaps understandably, but it didn’t make me sympathetic toward her. I did, however, sympathize with our heroine. Leena is jilted on her wedding day and finds out her husband-to-be had taken up with the mysteriously beautiful, poised, and successful Adira. Adira breezes in, making demands that Leena “give in” to what’s happened and try to move on with finding her own happiness. Cover of The New Mrs. Collins. Gorgeous. Chilling. Love it. But she can’t. There’s something wrong with Mrs. Collins and few people can see it. Those who do are quickly dealt with in ways made even more chilling because of the distant, almost carefree manner Adira uses. Miller’s writing style is strong and self-assured. I found the setting of small town Louisiana realistic and refreshing in a story that isn’t steeped in voodoo. She doesn’t hesitate to include colloquialisms, and glimpses into the African-American lifestyle in the South in her work without explanations for those unfamiliar. Since I am familiar, I enjoyed those gems: quips and witticisms of town matriarchs, creative expletives, the whole town’s involvement in preparations for the wedding, and the town ladies’ open criticism of the other woman. In addition, I felt the fact Leena had a child, was not something covered in a lot of paranormal stories today. It made a connection to the former fiancé that was unbreakable, also making Leena’s son a pawn in Adira’s game. Miller is also not shy about putting her characters in desperate situations. After the jilting Leena gives the store clerk her engagement ring to pay for her “My world is crumbling right now” snacks. One of the best things about the book was that these female characters were fighting for something other than a man. Yes, the struggle began because if his abandoning Leena at the altar, and you would think the entire plot struggle would make him crucial in its resolution, but it happily didn’t. (Honestly, I’m struggling to recall his name.) But the story is about the mystery of Adira that Leena can’t leave alone and her determination to uncover her secrets. She knows there’s something wrong with her… something off and she has to solve it. Finally, Leena discovers Adira’s mother and we find out a little more about the woman’s motivations through a glimpse at her childhood. Again, it didn’t make me necessarily sympathetic toward her, because kids can be creepy. But I did see the genesis of evil, helped along by a heavy dose of parental fear. I won’t give you anything on what Adira is capable of, that’s part of the fun of this book. But I will say that I would recommend it as a great summer chiller. Get The New Mrs. Collins on Amazon or find out more about the author on her website.